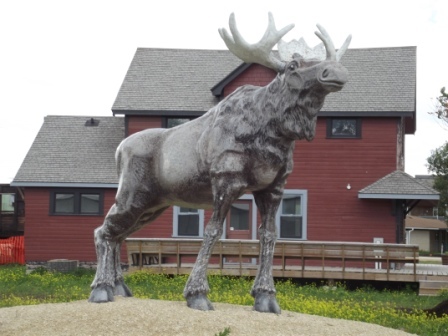 Built in 2007, the moose, chosen as the symbol for the large numbers that once roamed the forests of the Riverton area. The moose meat helped the settlers survive the cold, long winters of this land. “Lundi” was the original name for Riverton when the Icelanders settled here in 1876.